So you’ve got your plates, table covers and napkins but you’re forgetting one essential aspect to any party, the cups. Sure, you could get red cups like every other party you’ve ever been to (snooze), or you can switch it up and choose to not pick a color at all. White Plastic Cups are simple, clean and classy, and they’ll match with any theme you could dream up. White Plastic Cups are a medium compact size and have a rough exterior to make holding your drink easy. 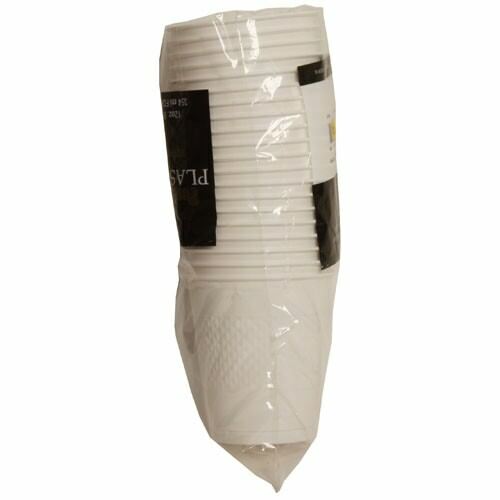 Great for barbecues, birthdays, holidays and anything other occasions, White Plastic Cups are the simple solution for all your drinking needs. The best part is that you can either hand wash them and use them again or just throw them away after the intense party you just threw. White Plastic Cups come in 20 per pack and hold 12 ounces each. Now that your tableware is complete, let's get partying!